Most of our loyal Acura enthusiasts in the North Houston, Spring & Conroe area know that maintaining your Acura with only certified parts helps keep it under the original warranty. So, if you’re confident enough to make a repair to your Acura car of SUV yourself, let our Houston Acura auto parts center find you the part or accessory you need. We make it our mission to have a complete inventory of Acura parts and accessories in Houston on hand. On the off-chance we don’t have it, we can get it for you, fast! Have questions? Feel free to contact one of our qualified parts specialists for more information. For your convenience, you can order car parts in Houston at Gillman Acura’s Parts Center by completing our online auto parts order form to the left. Be sure to check out our latest auto parts specials and save even more on your order. 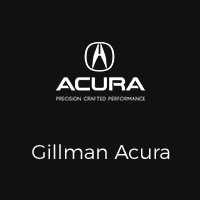 Gillman Acura in Houston also offers Acura service and auto repair at our state-of-the-art service facility. Sign up for your car repair appointment right away by completing our online service appointment form, and get your Acura into our service center faster. If you’re looking for genuine Acura parts, then you need to come to Gillman Acura in Houston, offering a great assortment of certified car parts and accessories. Don’t install just any part into your Acura, ensure a long lifetime of high performance from your vehicle by only using original Acura parts. Call us at 888-359-5765 with any questions.